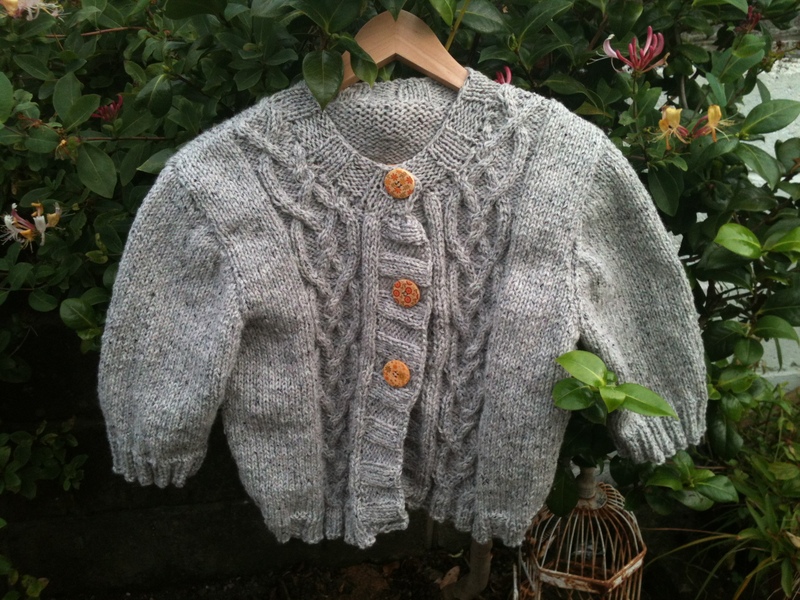 I have just finished knitting this three quarter sleeve vintage style cardigan. I t has a small amount of cable knitting up each front panel so it wasn’t too difficult. I used a pattern from my favourite knitting book ‘Vintage Modern Knits’, it is the third garment that I have knitted from it! The wool is from the massive pile that I brought back from Wonderwool as I mentioned earlier in my blog.